Click Here to Save Over $90 and Get INSTANT Access Today! Get in amazing shape fast with my Lean Body Transformation System! Learn how to utilize essential exercises via a structured exercise program to radically transform your physique. 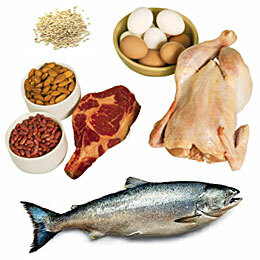 Learn how to incorporate your favorite foods into your nutrition program for sustainable and long term results. Learn how to properly use a flexible dieting fat loss approach to melt fat away and build a strong lean physique. Are you ready to sculpt your dream physique? 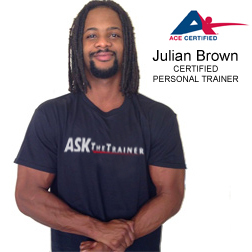 My name is Julian Brown and I specialize in body transformation. I’ve been helping men and women just like you rapidly transform their bodies for over a decade. I’m confident you too can create a killer body and get in the best shape of your life! In addition to being an ACE Certified Personal Trainer, I am an NASM Fitness Nutrition Specialist, NESTA Sports Nutrition Specialist, and a sponsored IFPA/PNBA Professional Natural Bodybuilder. Let my years of experience be your guide! If you’re spending time in the gym but not seeing the results you want, out of shape and ready to live a healthier lifestyle, or motivated to take your body to the next level, my Lean Body Transformation System will work for you. Build the ultimate lean body with my proven exercise and nutrition approach. Get the complete Lean Body Transformation Guide ($105 value) for only $9.95. WHAT ARE YOU WAITING FOR? TRANSFORM YOUR PHYSIQUE NOW! Disclaimer: These guides are for informational purposes only and are not intended as medical advice nor are they a substitute for professional advice, diagnosis, or treatment of any disease or condition. Consult your physician or health care practitioner before beginning any nutrition, supplementation or exercise program.AskTheTrainer.com does not assume any liability for the information provided herein. Any application of the recommendations or use of the information contained herein is at your discretion and sole risk, and you specifically waive any right to make any claim against AskTheTrainer.com as the result of the use of such information.All content and information contained herein is provided “as is” and AskTheTrainer.com makes no guarantees whatsoever regarding the accuracy of the information provided. The purchaser and/or user of the guides, and any related materials, assume total responsibility and risk for use of information contained herein and for any related products or services. See our full disclaimer for more details.